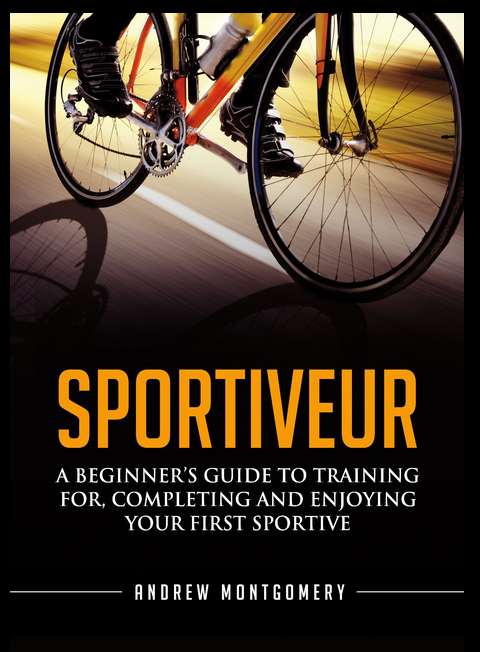 Sportive Cyclist is a website dedicated to helping you prepare for your next sportive. Why? Because I want to help myself with those exact same things. My posts are packed with advice and information aimed squarely at supercharging your performance and quashing your demons. They’re entertaining as well (to some people at least). As an email subscriber to the Sportive Cyclist you’ll receive each lovingly-crafted post direct to your email inbox as soon as it’s published (well, the following morning). You’ll receive no spam, no guff, no tripe. As an added (Brucie) bonus, you’ll get free, subscriber-only access to the Sportive Cyclist’s Toolbox (studio audience: “whooh!”). See My Toolbox, Hear Me Roar! 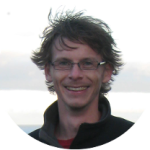 As a subscriber you’ll also receive an introductory sequence of messages that acquaints you with all the ‘vital’ information hidden deep within the bowels of the blog. Now there’s an offer you can’t refuse. 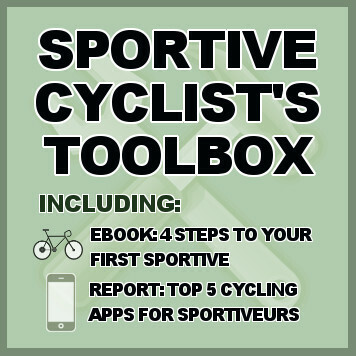 I’ll let you know each time I add a new resource to the Sportive Cyclist’s Toolbox. Next on the list is a worksheet to help time-starved cyclists find more time to train. 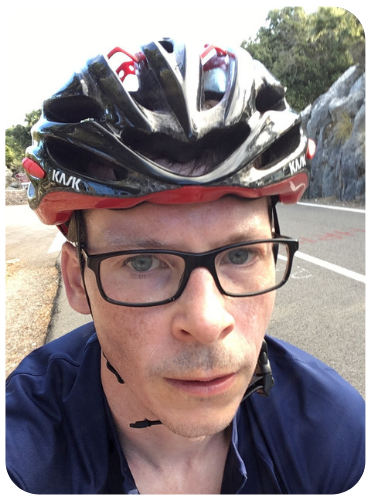 My name is Andrew (or Monty, or the Grimpeur Heureux), and I’m absolutely unqualified to write a website dedicated to road cycling. And perhaps that’s why you should read it. Seeking training advice can sometimes be intimidating, learning from athletically-blessed coaches that can’t really understand the needs and insecurities of novice and intermediate cyclists. My athletic ‘gifts’ mean that I’m destined to remain a mediocre cyclist. I feel your pain! Like you, I don’t have limitless cash for buying bikes, clothing and equipment, or unlimited time in which to train. With Sportive Cyclist, I want to help you achieve more with less. Enter your email address in the box below. Get an email each time a new post is published. Get instant access to a great set of FREE sportive cycling resources to kaibosh your fears, boost your excitement and supercharge your cycling performance.